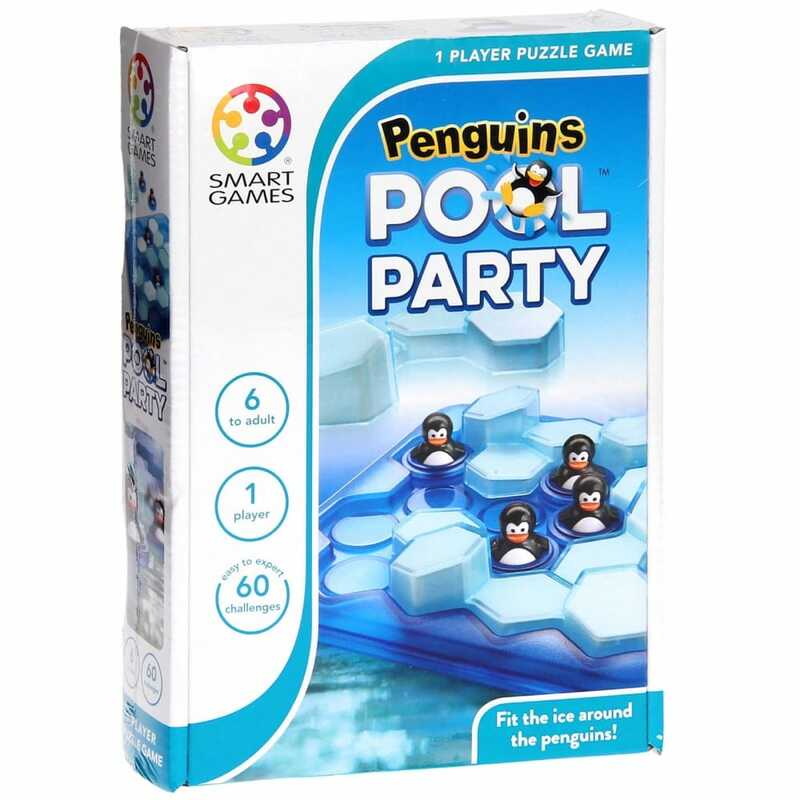 Discover this great puzzle which features 60 challenges to complete, just place the penguins in the water on the game board as shown in each challenge and then fit the ice blocks around them. The smart penguins challenge you in this exciting new 3D game. Contents: game board complete with lid, 3D ice blocks, 4 x penguins and booklet of challenges.